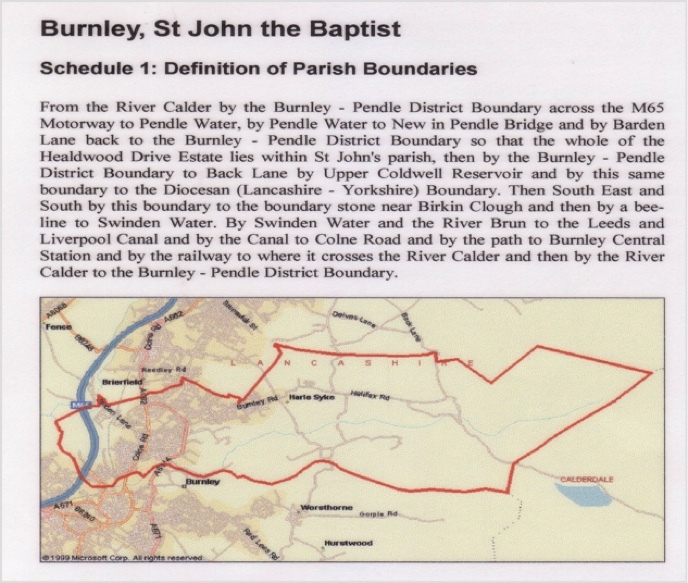 St John the Baptist RC Primary School is a Catholic School in the trusteeship of the Diocese of Salford. It is maintained by Lancashire Authority and is a voluntary aided School. The Governing Body is the Admissions Authority and is responsible for taking all decisions on applications for admissions. The co-ordination of admissions arrangements is undertaken by the Local Authority. For the school’s year commencing September 2019, the Governing Body has determined that the number of children to be admitted to the Reception class in 2019 will be 30. Admissions to the school will be determined by the Governing Body. Parents must complete a Local Authority Preference Form or apply online via the website www.lancashire.gov.uk/children-education-families. If you wish to have your application considered against that school’s religious criteria then you must also complete the Supplementary Form which is available from the school. Baptised Catholic children resident in the parishes of St John the Baptist, Burney. * Exceptional needs of this kind will occur very rarely. It is strongly recommended that a written application is submitted in advance of the normal admissions timetable. If it is not possible to offer places for all applications within any criterion above, priority will be given to those living closest to the school. This will be measured by the distance between the Ordnance Survey address points for the school and the home measured in a straight line, nearer addresses having more priority over more distant ones. This address point is within the body of the property and is usually located at its centre. In the event of distances being the same for 2 or more applicants, places will be allocated by a random draw. a. All applications will be considered at the same time and after the closing date for admissions which is 15 January 2019. Applications received after this date will be treated as a late application and will not be considered until after the main allocation of places has taken place. b. A Looked After Child is a child who is (a) in the care of a Local Authority, or (b) being provided with accommodation by a Local Authority in the exercise of their Social Services functions (under section 22(1) of the Children Act 1989. A previously Looked After Child is one who immediately moved on from that status after becoming subject to an adoption, residence or special guardianship order. For a child to be considered as a Catholic evidence of a Catholic Baptism or reception into the Catholic Church is required. Written evidence of reception into the Catholic Church can be obtained by referring to the Register of Receptions, or in some cases a sub-section of the Baptismal Registers of the Church in which the Rite of Reception took place. If, for example, a child has been baptised in the Church of England and the parents are subsequently admitted to the Catholic Church through the RCIA programme, the child must also be admitted to the Church by the Rite of Reception. Those who have difficulty obtaining written evidence of baptism for a good reason, may still be considered as baptised Catholics but only after they have been referred to the parish priest who, after consulting with the Salford Diocese will decide how the question of baptism is to be resolved and how written evidence is to be produced in accordance with the law of the Church. d. Home Address is considered to be the address where the child normally lives. Where care is split and a child moves between two addresses, the household in receipt of the child benefit would normally be the address used but the admission authority body reserves the right to request other evidence as fit the individual circumstance. Applicants should not state the address of another relative or person who has daily care of the child. A waiting list for children who have not been offered a place will be kept for one term and will be ranked according to the Admission Criteria. The waiting list does not consider the date the application was received or the length of time a child’s name has been on the waiting list. This means that a child’s position on the list may change if another applicant is refused a place and their child has higher priority in the admissions criteria. If a child is a “summer born child”, parents may request that the date their child is admitted to school is deferred to later in the school year. However, the child must start school before the end of that school year. If a parent wishes their child to be educated out of their normal school year (kept back a year), they must discuss this with the school before applying. However, the final decision on this rests with the headteacher. If your child is due to start school during the next academic year, it is important that you apply for a place for September. If your child’s fifth birthday is between the months of September and December, then, if you wish it, admission may be deferred until January; if it is between January and April, then admission may be deferred until the start of the summer term though it is likely to be in your child’s interest to start no later than January. You may also request that your child attend school part time until he/she reaches his/her fifth birthday.